Deflategate has become one of the most talked about scandals in sports history and now you can own one of the balls that started it all. ESPN reports that a pair of Patriots fans were handed a ball by wide receiver Brandon LaFell in the third quarter of the team's now infamous AFC Championship game victory over the Indianapolis Colts. The couple originally believed the ball was a replacement used after the deflated balls were discovered, but when the Wells Report revealed the footballs were simply re-inflated for the game's second half, Laura and Matt Nichols realized they had a piece of history. Lelands.com will be auctioning off the football with a starting bid of $25,000 and chairman Joshua Evans told ESPN it is one of the most interesting pieces the site has ever auctioned off. "This is a 'wow' type of collectible. This is one of the best conversation pieces that has ever been sold." With the NFL investigation into Deflategate concluding that it is probable the Patriots deliberately deflated footballs and that Tom Brady was "generally aware," here is a gallery of the most talked-about footballs in NFL history, beginning with Brady looking to pass in the first quarter against the Indianapolis Colts. 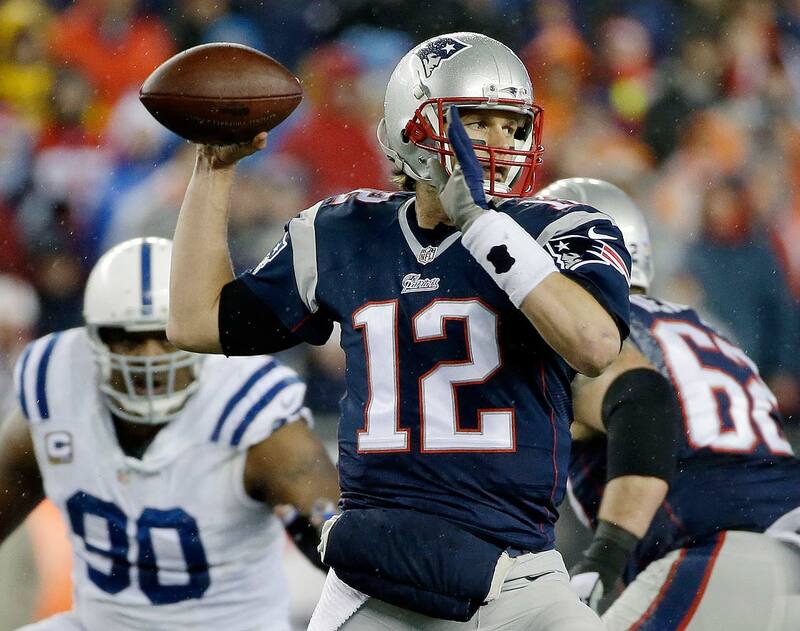 Tom Brady gestures before the snap in the first quarter against the Indianapolis Colts. 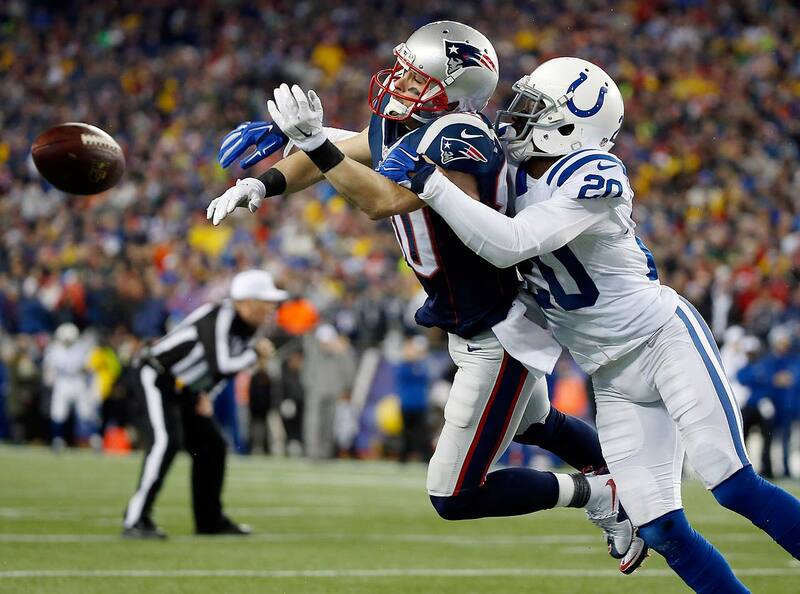 Patriots wide receiver Danny Amendola cannot catch a pass while being defended by Darius Butler during the first half. 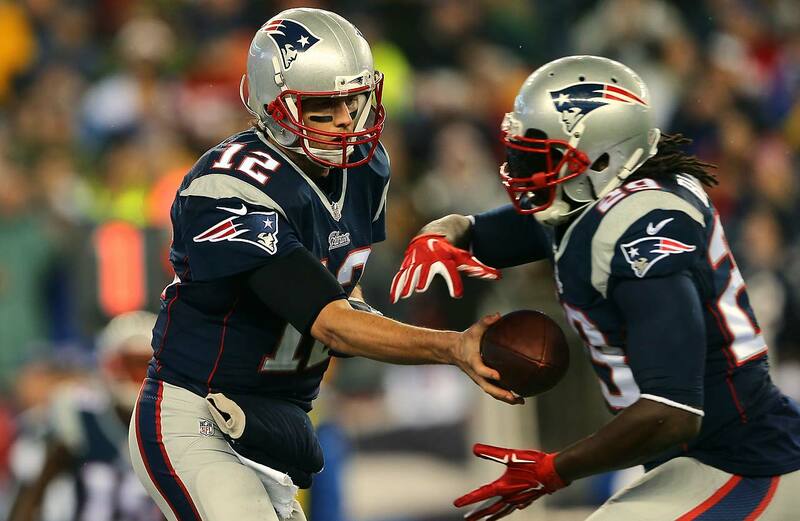 Tom Brady hands the ball off to LeGarrette Blount in the first quarter. 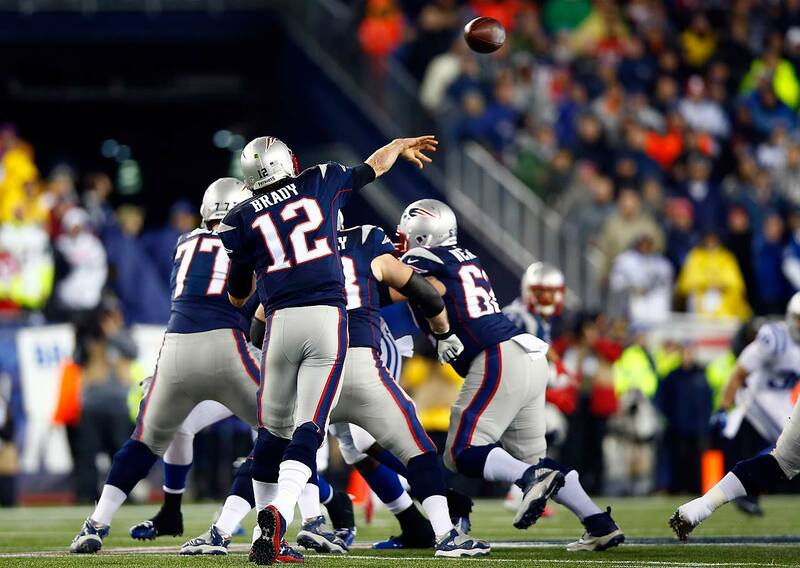 Tom Brady throws a pass in the first quarter. 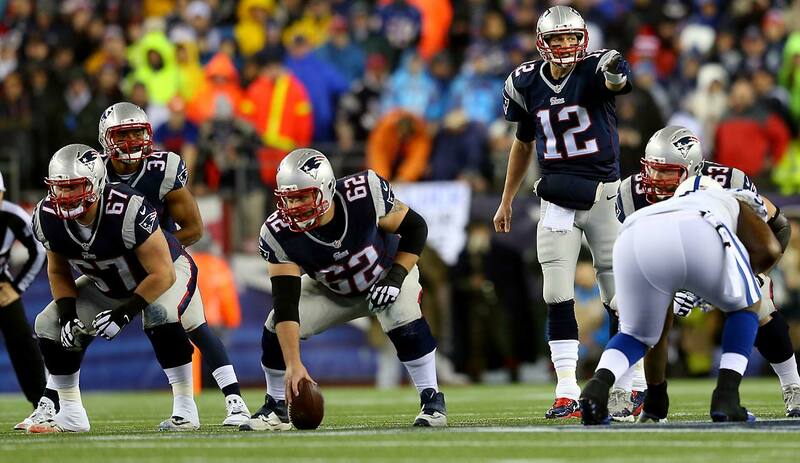 Tom Brady looks to pass during the first half. 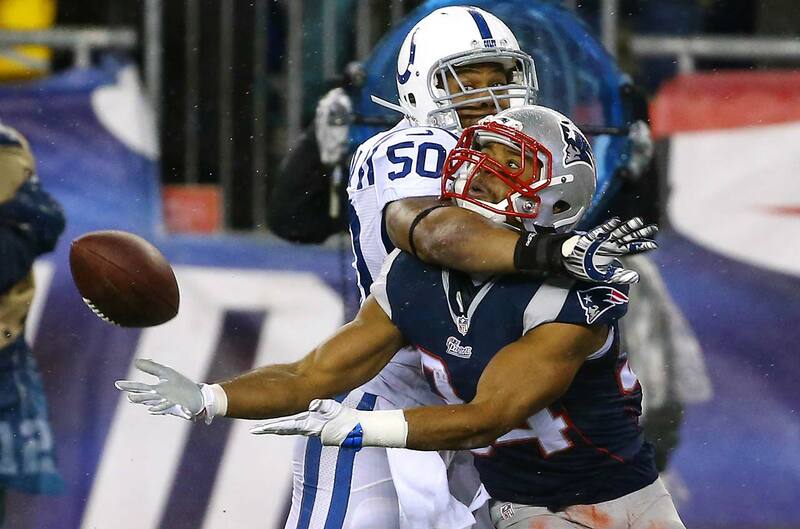 Shane Vereen makes a catch in the first quarter against Jerrell Freeman. 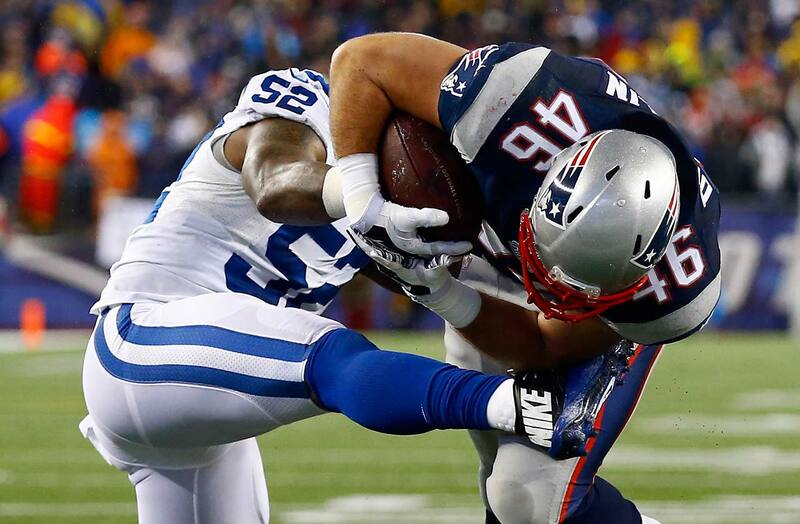 Rob Gronkowski cannot make a catch in the end zone over Colts cornerback Greg Toler during the first half. 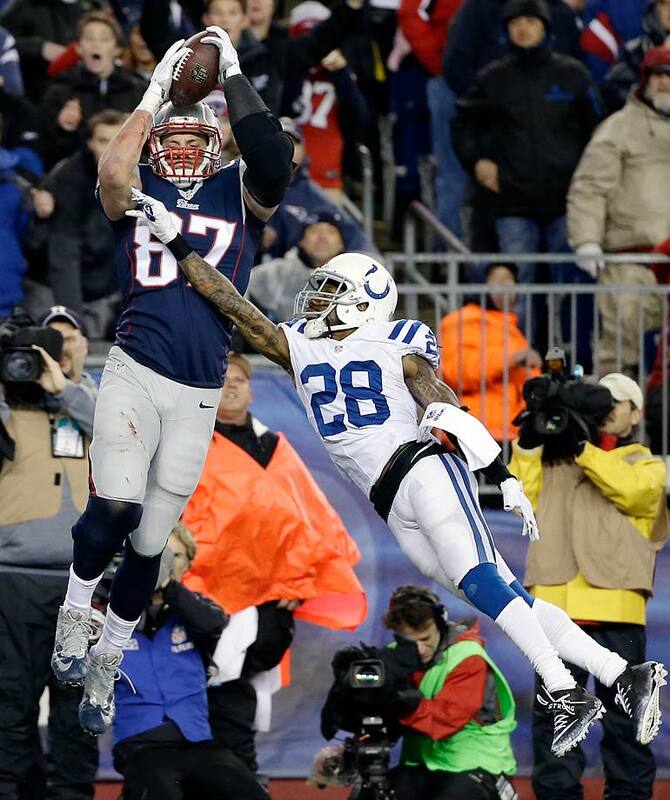 Julian Edelman tries to make a catch during the first half. 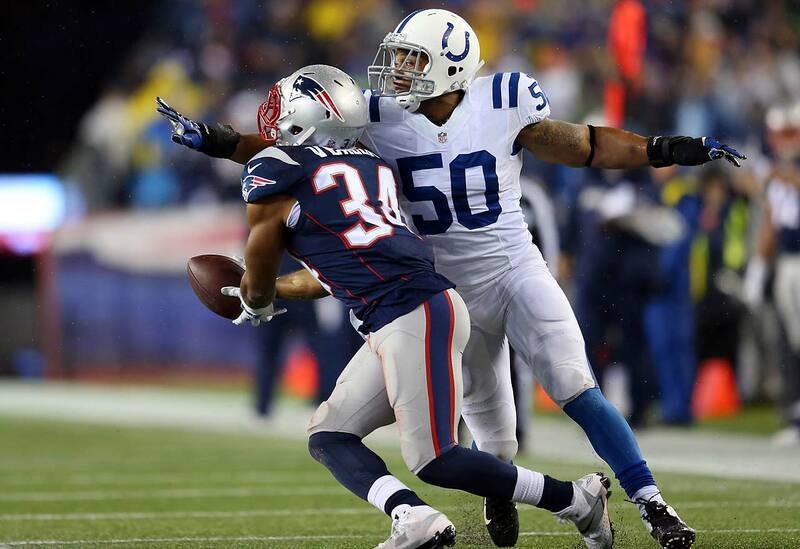 Indianapolis Colts inside linebacker D'Qwell Jackson intercepts a pass intended for Rob Gronkowski during the first half. 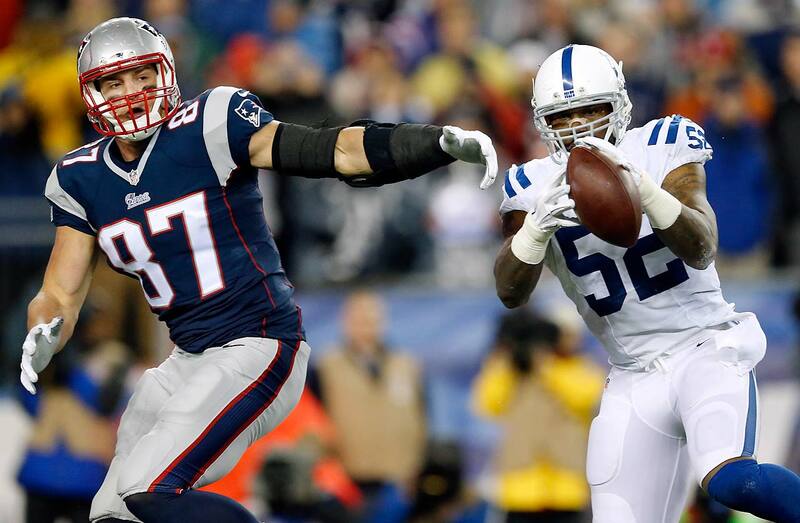 D'Qwell Jackson intercepts a pass intended for Rob Gronkowski. 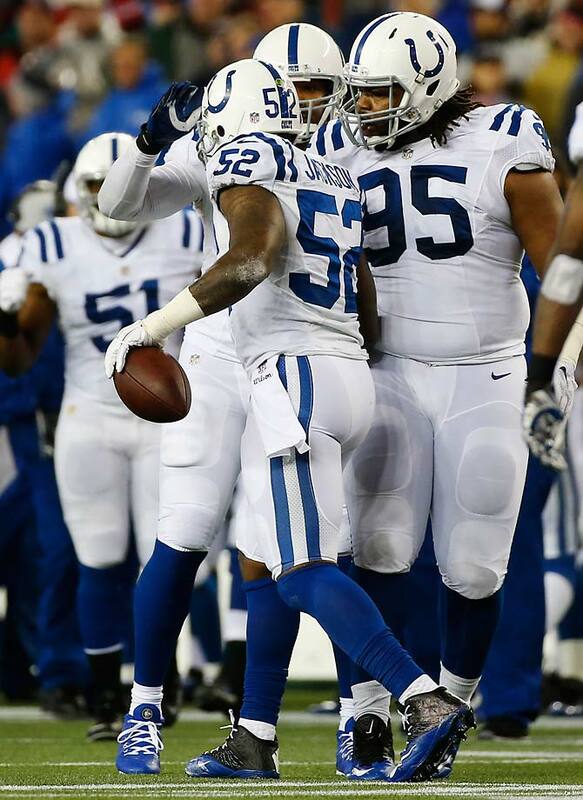 D'Qwell Jackson is congratulated by teammates after his interception. 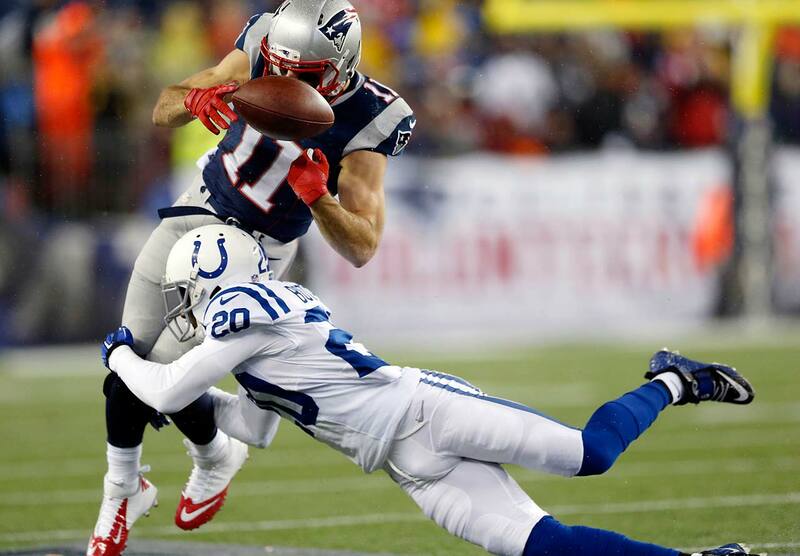 Julian Edelman is tackled by cornerback Darius Butler during the first half. 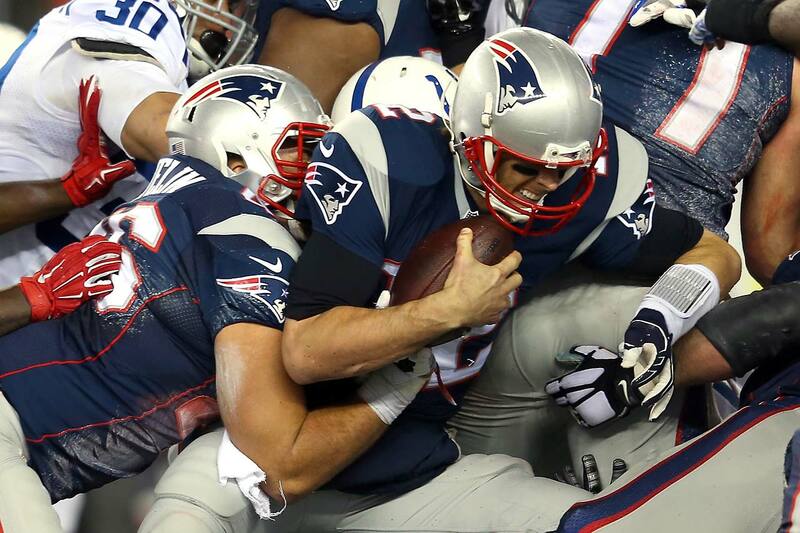 James Develin scores a touchdown in the first quarter. 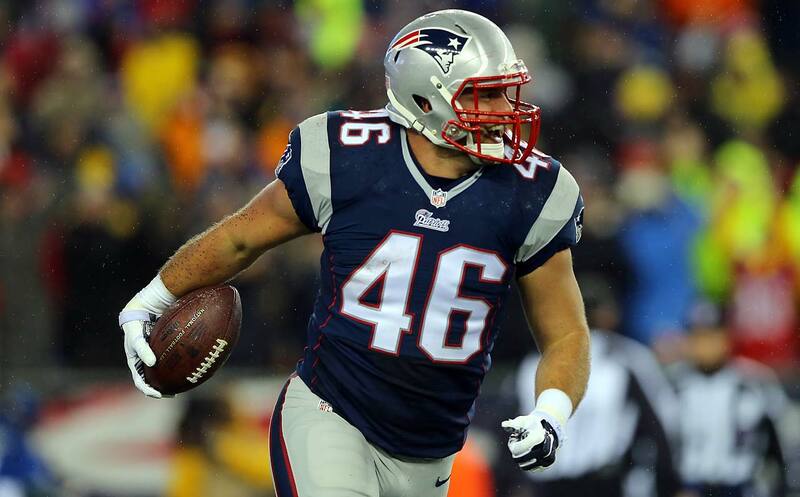 James Develin celebrates his first-quarter touchdown. 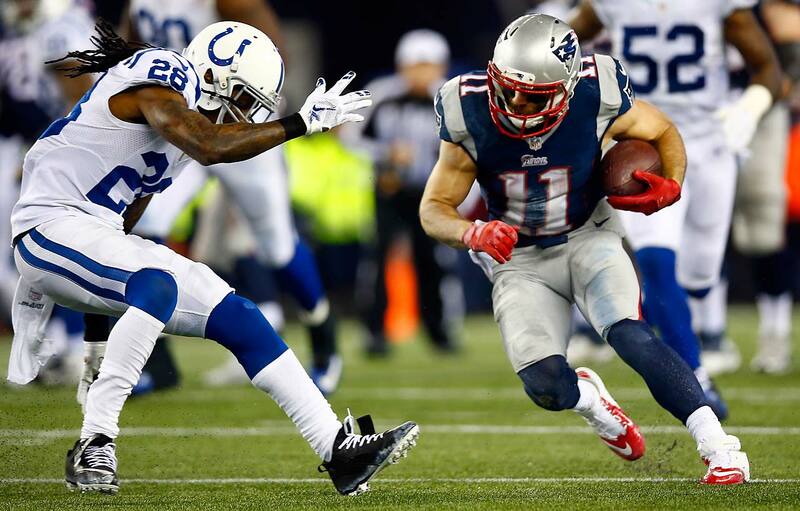 Julian Edelman runs with the ball against Greg Toler. 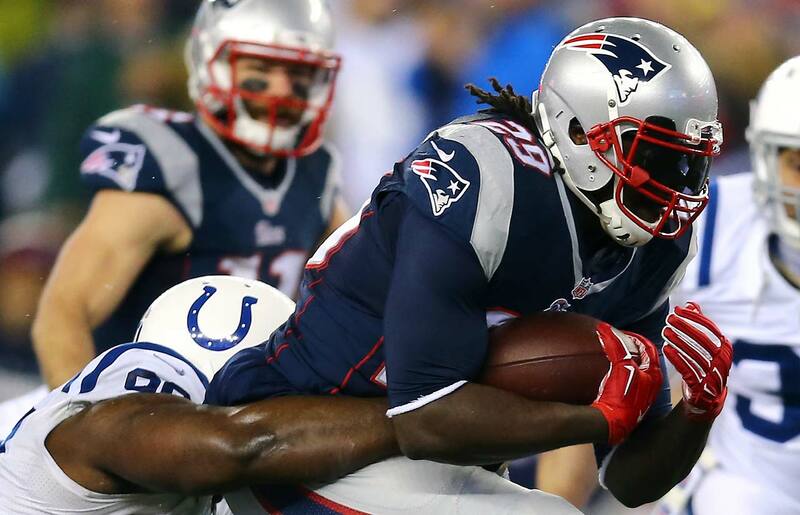 LeGarrette Blount runs with the ball in the first quarter. 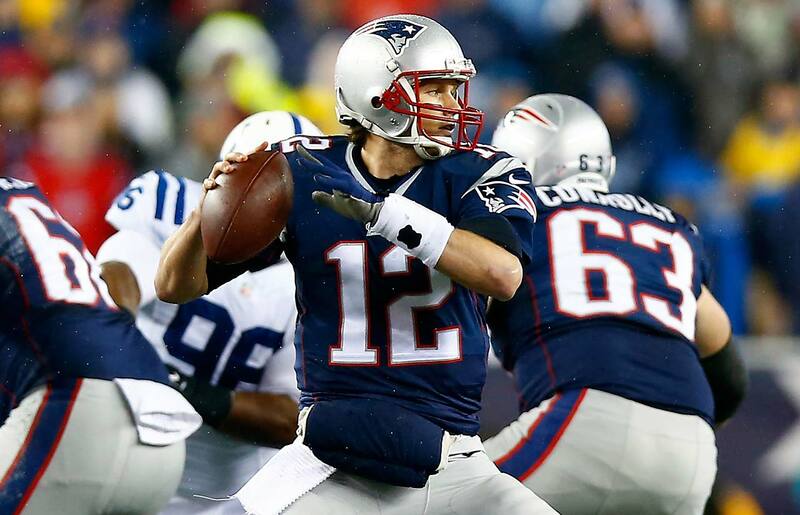 Tom Brady looks to pass in the first half against the Colts. 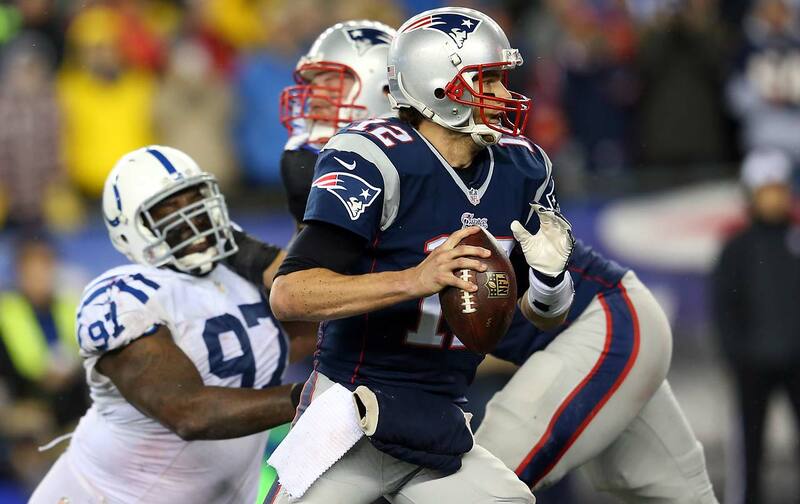 Tom Brady runs for a first down in the second quarter. 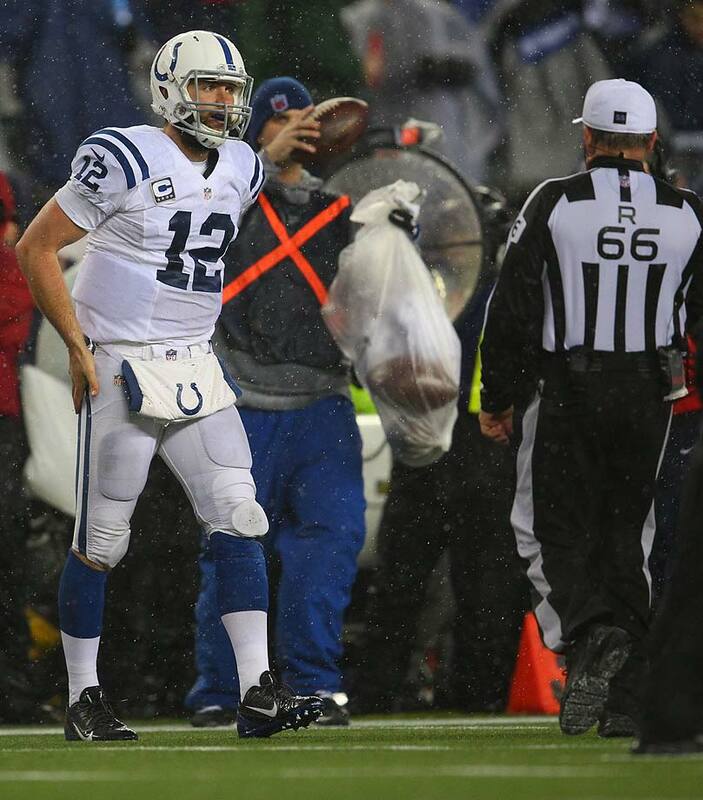 An official has a ball handed to him during the AFC title game. 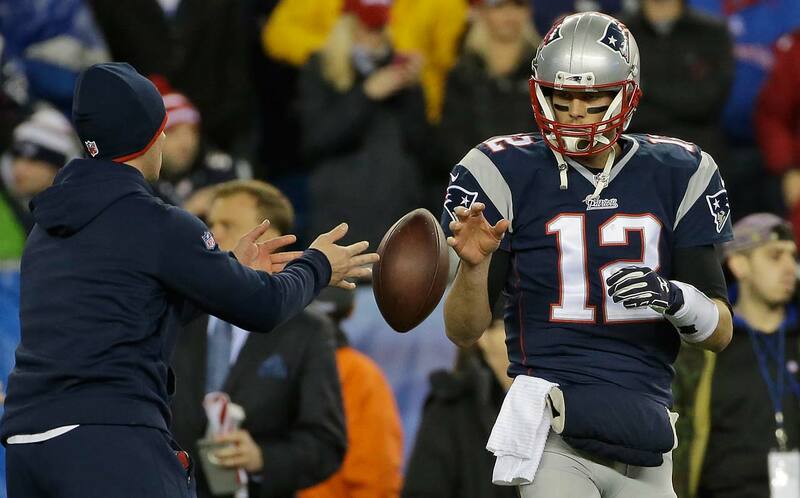 Tom Brady has a ball tossed to him during warmups before the AFC Championship game.